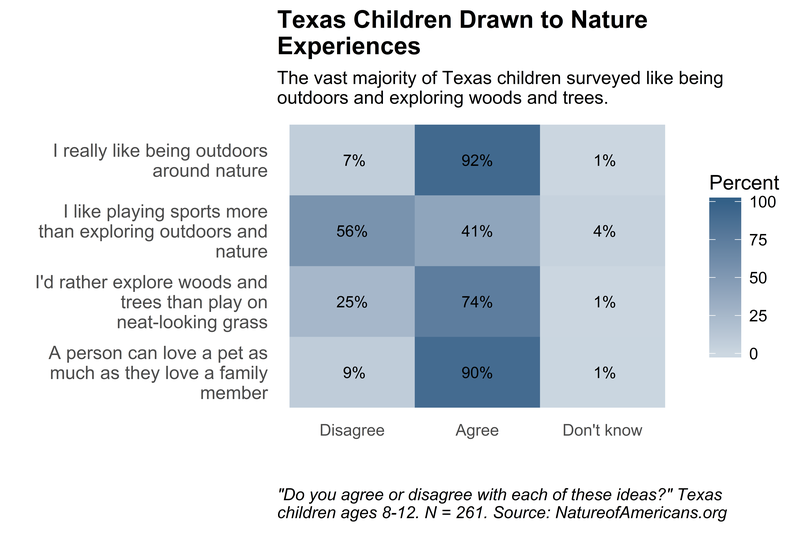 Almost all children interviewed in Texas like being outdoors around nature. Nearly all agree a person can love a pet as much as they love a family member. Just over one-half disagree that they like playing sports more than exploring outdoors. Indeed, three-quarters would rather explore woods and trees than play on grass.